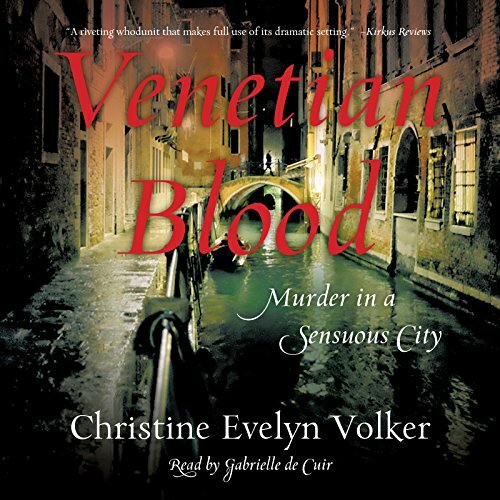 Showing results by publisher "Christine Evelyn Volker"
Struggling to forget a crumbling marriage, 40-year-old Anna Lucia Lottol comes to Venice to visit an old friend - but instead of finding solace, she is dragged into the police station and accused of murdering a money-laundering count with whom she had a brief affair. A US Treasury officer with brains and athleticism, Anna fights to clear her name in a seductive city full of watery illusions. As she works to pry information from a cast of recalcitrant characters sometimes denying what she sees and hears, she succeeds in unleashing a powerful foe bent on destroying her.